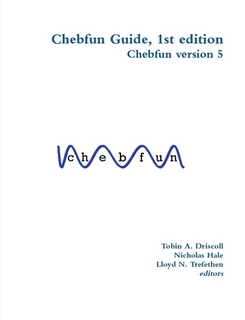 T. A. Driscoll, N. Hale, and L. N. Trefethen, editors, Chebfun Guide, Pafnuty Publications, Oxford, 2014. They are not updated as frequently as the online versions here. © Copyright 2017 the University of Oxford and the Chebfun Developers.